We are creative minds & creativity is your need! Creative graphic design in Lahore Pakistan. Build your Identity via Eye catching Graphic. Creative Logo Design, Brochure Design, Banners and Posters, Letter head, Visiting Cards, 2d – 3d Animation, Flyers and Flex Printing Services. Booklets, Calender’s and other Promotion Material Designing and Printing. We deliver quality graphic designing and charge minimum price as compare to market. 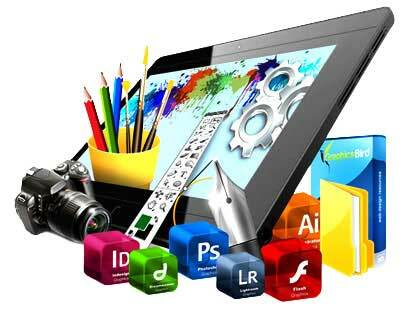 Top web designer in Pakistan are available to generate your good will through out the worldwide. Our graphic designer work hard to build from the scratch for audience attraction. Best advertisement solution’s in graphic design in Lahore Pakistan. We are committed to use the trending tools, Also complete source file will be provided as per required resolution. Expert Graphic Design in Lahore Pakistan. Offer’s unique & creativity, Our highly professional designing services are based on strategic thinking. Who will look deeply to add something extra to your corporate literature, annual report, corporate identity, or website design. Our expert designers create graphically, and represents according to the client brief. Which makes easier path for both to identify with more options. It helps in understanding the scope of work, that recognize in better perception of the brand as per the requirements and psychologically attention. It also gives the helpful tips to create promotional banners, flyers and brochure for specified campaigns.